Are you ready to win an argument every time? Whether you're debating world peace, civil rights issues or who should have taken out the garbage on Monday night because it was their turn and no one should have to remind them because we are adults, Mark, and we do not live like animals, there's now a better way to argue. And it's supported by research. Just don't tell your opponent. 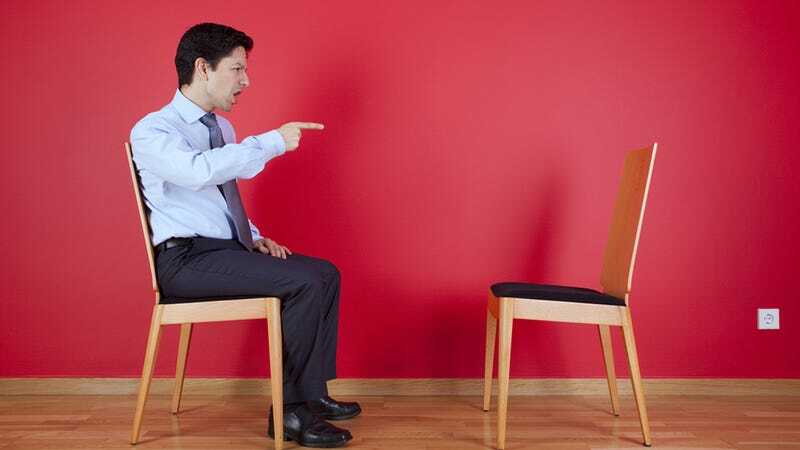 Remember when you were a kid and you had one of those arguments when you screamed "did not/did too" at your sibling/friend/parent who acted more like a child than you which is the reason you are in therapy? Remember how you won by quickly shifting your position forcing the other person to change theirs, thereby agreeing with you and crowning you the winner? Well, much rejoicing is to be had because you can relive those moments time after time and day after day if you agree with your opponent instead of fighting them. Dirty tricks, that's how arguments are won. A psychological research team at Tel Aviv University tested whether a paradoxical intervention would work by selecting a particularly divisive topic: The Israel-Palestine conflict. They gathered 150 participants and divided them into groups, showing some a tourism video and showing others videos that were a little bit more disturbing. And here's another video. This one is less violent and states that the Israeli-Palestine conflict is needed for Israel to continue "being the most upright nation in the world." Yes, these videos absolutely look like propaganda right out of The Hunger Games and they were also apparently very difficult for the participants to watch, even though they didn't go against their views. Instead, they amplified them! And .Mic reports that after watching the videos over a period of months, thirty percent of participants were actually open to reassessing their views.